Reality TV celebrity, Lauren Conrad (LC), 22, has the best hair-dos I have ever seen. She even got the front braid with bun trend started. Even after hacking off her gorgeous golden locks for a straight bob, I thought she still looked hip. Here are some of her best hair moments. She launched her own clothing line and landed a three book deal for a series of young adult fiction novels. 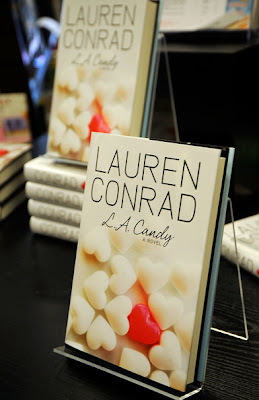 If you're a fan, make sure to get her first novel, the already best selling L.A. Candy.